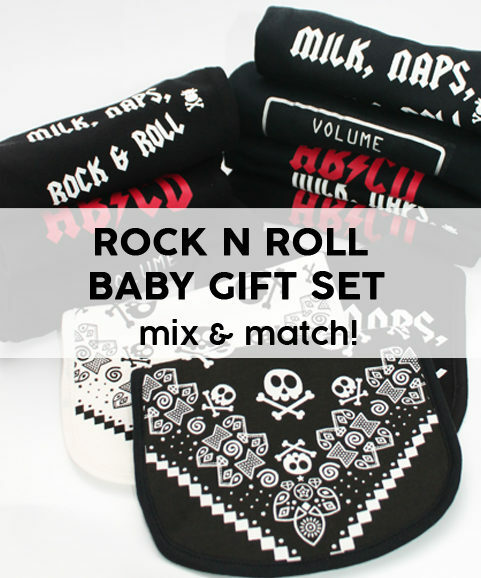 Rock star baby gift box for the baby born to rock! This cool baby shower gift box will ensure you’ve given the most rockin’ gift at the baby shower. 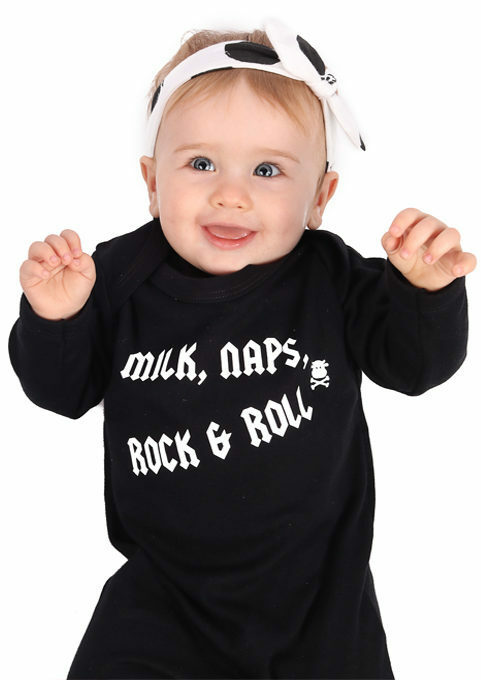 1 x trendy white rockstar baby bib. 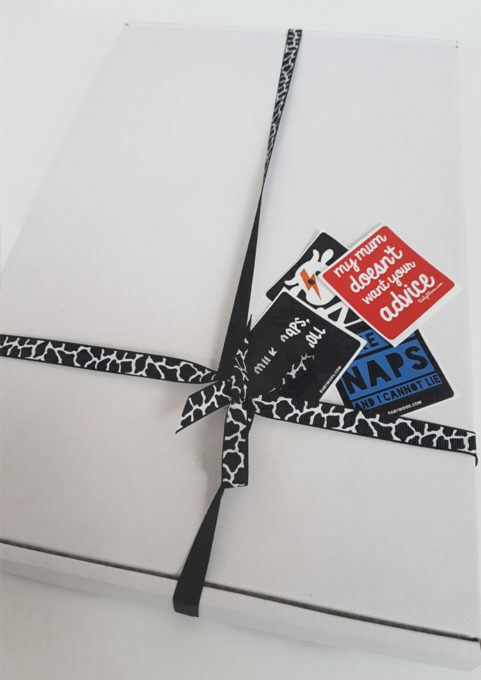 Gift set comes in a plain white box with cow print ribbon. 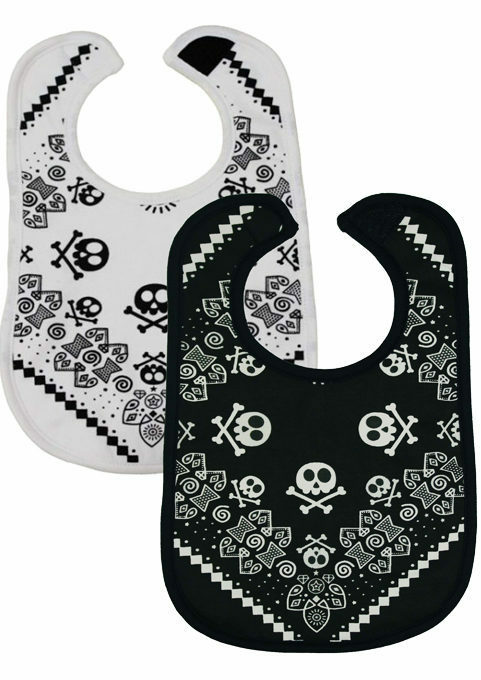 2 the rock star bandana print monochrome bibs consist of absorbent cotton fronts to absorb spills & stay dry fleece backs. Thank you very much for the lovely packaged order! 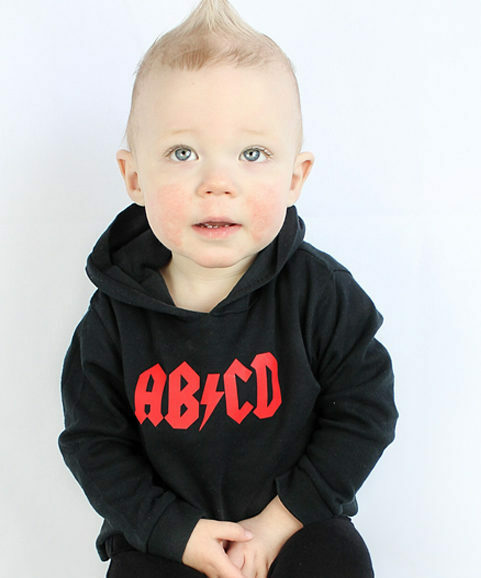 I’m so not a baby person and usually hate to shop for presents for expectant friends, but your website was a breath of fresh air!!! 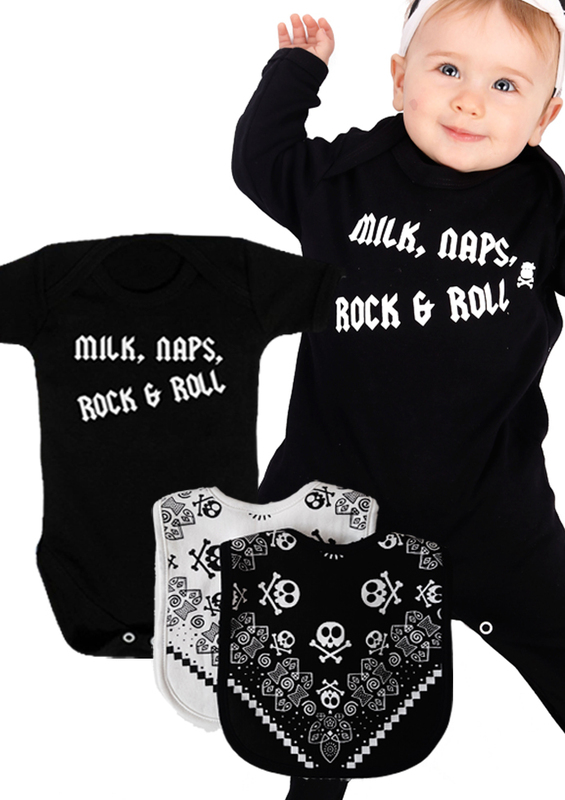 Just love the black rock inspired clothes! 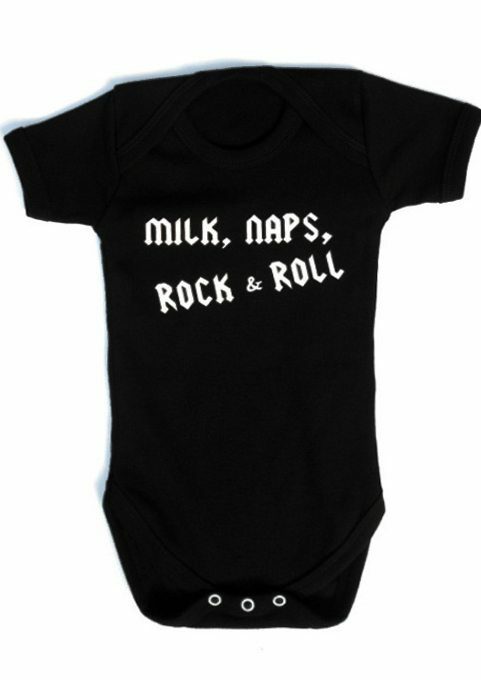 I’m arranging a mini rock festival and my friend will be bringing her yet to arrive baby! I just had to buy her a festival outfit and blanket, with a backup change of outfit just in case!!! 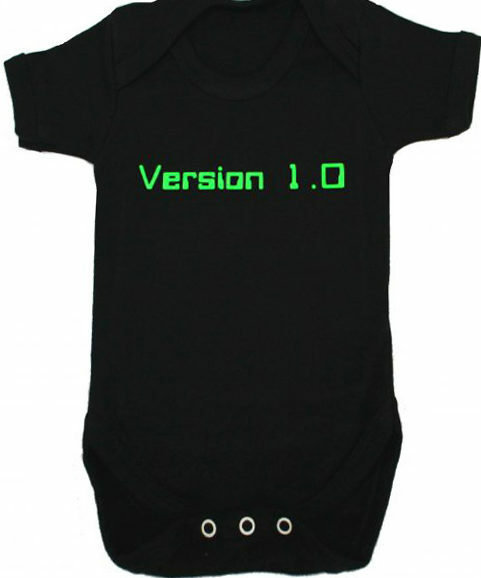 I’m sure that my friend will be over the moon when I give her the present!